Do you want to allow your website visitors to book an appointment or reservation on your site? A bad booking process can sabotage your business and reputation. With the right WordPress booking plugin, you can easily transform your existing WordPress website into a fully-functional online appointment and reservation booking system. With choice comes confusion, so, in this article, we’re going to take a closer look at some of the best WordPress booking plugins that help you manage online appointment and reservation booking. By the end, you’ll be ready to make a well-informed decision, confusion and hassle-free. Every WordPress booking plugin comes with a lot of features to fulfill booking management needs. As a user, this makes it difficult to choose the right plugin that perfectly adapts to your personal workflow and fits your requirements. Before we dive into our comparison, it’s worth taking a moment to examine what functionalities you need to look for in different booking plugins. Not every booking plugin is created equal. Some are built specifically for managing appointment bookings for services, while others are built for managing reservation bookings (such as hotel bookings). You can also find multipurpose booking plugins that offer both appointment and reservation bookings, if you require multiple options. Some plugins are built only for displaying a booking calendar on your site, which means they do not support online payments. This can be a great option for service providers who want to promote their services right from their website but prefer offline payments. Understanding what options you’ll need from your booking plugin can save you precious time and money. Be sure to have clear goals in mind and review the features of possible booking solutions before investing your time and money to test them out willy-nilly. Offering a great user experience is the most important aspect when it comes to your online business. Does your preferred plugin offer seamless mobile integration that enables your customers to book on the go? After the booking, does it allow you to send customized triggered emails to your customers? These questions will help you find the right booking plugin for your unique needs. That said, let’s take a look at the best WordPress booking plugins on the market. Start Booking is the best online booking and scheduling tool that enables your clients to book an appointment with you on your website around the clock. If you’re already using Google Calendar, then you can integrate your booking system with it. Start Booking gives your customers a seamless booking experience. Here’s how it works. At a glance, your customers can view and select a bookable service on your booking page. After selecting a service, they’ll be prompted to choose the date and time that works. Then the checkout flow will capture all the essential information from your customer and securely store it within the Start Booking system. Get started with Start Booking today. BirchPress is one of the best booking scheduler plugins that allows service businesses to schedule booking and accept payments online. With BirchPress, booking forms can be easily built using the built-in form editor and then embedded on your pages via shortcodes. It syncs with your online calendars such as Google Calendar and iCal, so you can quickly view your appointments and availability. BirchPress also allows you to send highly-customized emails to your clients when an appointment is booked, rescheduled, or canceled. You can also remind your clients about an upcoming appointment without having to use a different email marketing software. The plugin comes bundled with PayPal payments. For more payment options, you can integrate your website with WooCommerce. The BirchPress plugin also comes with thousands of functions and hooks, making it one of the most developer-friendly booking plugins in existence. Get started with BirchPress today. The Booking Calendar plugin is one of the most popular booking plugins in the WordPress plugin repository, with over 40,000 active installs. It’s a multipurpose plugin that allows you to manage both appointment and reservation bookings from your WordPress site. The plugin is extremely easy to use with a lot of functionalities, tailored to a wide range of businesses. 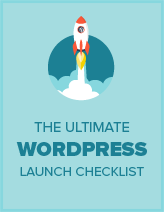 The premium version of the plugin comes with all the features you’ll ever need for your WordPress online booking site. Since all bookings and settings are stored in your WordPress database, you don’t need to have a third-party account to manage bookings. However, if you want to import feeds from third-party sources like Airbnb, Booking.com, HomeAway, TripAdvisor, and so on, then you can easily do that as well. Your booking forms and calendar support are responsive, meaning they’ll look great on all devices such as desktop, mobile, or tablets. Best of all, a wide range of online payment gateways is supported, including PayPal, Stripe, Authorize.net, and more. Get started with Booking Calendar today. Bookly is a complete WordPress booking plugin that automates the booking and online scheduling of your services. Bookly is best suited for booking services such as salon appointments, health and wellness check-ups, education/tutoring meetings, and other professional services. It offers seamless mobile integration, making it easy to book appointments on the go for your clients. It’s one of the most easy to use WordPress plugins for appointment booking. The whole appointment booking process can be set from 2 to 6 easy steps. Bookly is compatible with the WPML plugin, so you can create a multilingual online booking website without hassle. It also lets you manage your client base effortlessly by providing an unlimited, sortable, and searchable customer list. You can also enhance the core features of the plugins with a lot of different addons, like coupons, custom fields, group bookings, chain appointments, recurring payments, and a lot more. Get started with Bookly today. WP Simple Booking Calendar might be the right booking calendar solution for you if you’re after a simple WordPress plugin that only shows your customers the availability of your holiday home. Keep in mind that this plugin doesn’t allow you to accept online payments. With the free version of the plugin, you get all the basic features you would expect from a booking calendar plugin. For example, you can display a booking calendar widget that shows availability and also accept bookings through a user-friendly interface with multilingual support. You’ll have to accept payment offline though. With the premium version, you can easily sync your booking calendars with third-party vacation rental apps, like Airbnb, Booking.com, and Flipkey. Because of this, any changes made to your website booking calendar will be automatically reflected on your third-party accounts. Get started with WP Simple Booking Calendar today. WPForms is the best form builder plugin for WordPress and makes it easy for you to create online booking forms directly within your WordPress dashboard. With WPForms, you can easily integrate your booking forms with any third-party apps via Zapier integration. With its smart conditional logic, you can show or hide form fields based on your users’ selection. It also lets you seamlessly integrate your web forms with major email marketing services, including MailChimp, AWeber, GetResponse, and more. It also supports PayPal and Stripe payment gateways. If you’re looking for a complete WordPress form builder plugin that lets you create any web forms, such as contact forms, booking forms, survey forms, signup forms, etc. then WPForms is the best solution for your needs. WP Booking Calendar is a premium WordPress plugin that transforms your WordPress website into a powerful booking system. You can promote many services on your website and accept online bookings with ease. Customers can look at your online reservation calendar before scheduling an appointment. Both you and your customer will be notified after a reservation has been placed. The WP Booking Calendar plugin is also compatible with WPML, so you can build a multi-lingual booking system. Directly from your WordPress dashboard, you can manage your booking calendar, reservations, forms, and emails. While it’s not as feature-rich as Bookly, it’s good enough to solve basic booking management needs. Get started with WP Booking Calendar by Wachipi today. Which WordPress Booking Plugin Should You Use? After our comparison, we found that BirchPress is the best online appointment booking plugin for WordPress because it comes with all the features essential to managing your appointment booking for your services. No matter what services you’re offering, the plugin is packed with a robust set of functionalities to manage appointments online and grow your business. For a basic booking plugin, you can use WPForms which is also the top-rated WordPress forms builder on the market. We hope this article helped you find the best WordPress booking plugin for your needs. Do you also want to translate your online booking site? Then check out our comparison of the best WordPress translation plugins.